NUGENT, JOHN VALENTINE, educator, politician, newspaper editor and proprietor, sheriff; b. 1796 in Waterford, Ireland; m. Ellen Maria Creedon of Cork, Ireland, and had several children; d. St John’s, Nfld., 12 June 1874. There is no certain evidence concerning John Valentine Nugent’s early life in Ireland. He seems to have been well educated, having devoted four years to the study of law. According to his political enemies in Newfoundland, he was forced to leave Ireland because of his “violence in politics.” After arriving in St John’s in May 1833 he opened a private school. Because of his fluency in writing and speaking he soon became the spokesman for the liberal cause, and a man regarded by the conservative as a hot-headed, fiery, restless agitator who systematically attempted to array Catholics against Protestants. Soon after his arrival in Newfoundland Nugent applied unsuccessfully for permission to practise at the bar. He felt that his exclusion was based solely on religion and was therefore unjust. In the invalidated general election of 1836 Nugent was elected to the assembly by acclamation for Placentia and St Mary’s. In 1837 the fiery Irish schoolmaster was re-elected. Soon he became one of the leaders in the assembly, his radicalism doing nothing to decrease the violence of the struggle between the assembly and the council. 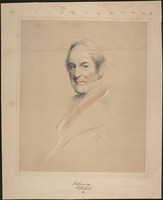 He was a member of the delegation to London – with Patrick Morris* and William Carson* – which in 1838 secured the removal from Newfoundland of Chief Justice Henry John Boulton* and ensured that in future the chief justice would not be a member of the council. Unfortunately Nugent, a poor man, found himself stranded with no money to pay for his passage home. After the Colonial Office had refused him a loan, Bishop Fleming, who happened to be in London, helped him out of his difficulty. On his return to St John’s, he was appointed solicitor to the House of Assembly. In the summer of 1841 Nugent was one of the delegates appointed by the house to appear in London before the parliamentary select committee on Newfoundland. Although the delegation failed to reach England before the inquiry adjourned, they did present the assembly’s case in a series of letters to Lord John Russell. During the 1842 general election campaign, in which Nugent was a candidate for St John’s, he was arrested for non-payment of libel damages. The magistrate – a Protestant Conservative – was reprimanded by Governor John Harvey* for the timing of this arrest; the Liberals, enraged, raised the money for Nugent’s bail and had him released; and the three Conservative candidates were defeated. From 1842 to 1848 John Valentine Nugent sat in the Amalgamated Legislature. Meanwhile he had been combining politics with journalism. When R. J. Parsons of the Patriot was heavily fined and sent to jail for contempt in 1835, Nugent helped to set up the Constitutional Society whose purpose was to free the editor. Briefly in 1837 Nugent was the proprietor of the Patriot. Although Parsons resumed the responsibility of owner after a month, Nugent continued to own the press and types of the Patriot till 1840. Thereupon he became editor and later proprietor of the Newfoundland Vindicator. After the Vindicator collapsed he became editor of the Newfoundland Indicator. Both the Vindicator and the Indicator took an active part in politics supporting the Irish Catholic element. J. V. Nugent’s appointment in 1844 as Newfoundland’s first inspector of schools caused much resentment among Protestant Conservatives. When, after a year, he was succeeded by a Protestant, he helped found the St John’s Academy, a government-supported school. 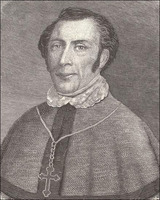 He was junior master and later head of the Roman Catholic division of the academy, 1845–56. His defeat in St John’s district in the general election of 1848 was attributed to the fact that he held this government appointment. After the introduction of responsible government in Newfoundland, with the Liberals finally in office, John Valentine Nugent was appointed in 1856 sheriff of the Central District, a position he filled until infirmity forced his retirement in 1871. Newfoundland, Department of Provincial Affairs, “List of affidavits of proprietorship of newspapers,” 1836–1900. PRO, CO 194/88, 70. Newfoundland, Blue Books, 1837–56 (copies in PANL). Newfoundland, House of Assembly, Journals, 1836–46. Courier (St John’s), 9 Aug. 1871. Newfoundlander (St John’s), 27 Oct. 1862. Newfoundland Patriot (St John’s), 7 July 1835, 3 Feb. 1841. Newfoundland Vindicator (St John’s), 1842. Public Ledger (St John’s), 19 July, 2 Aug. 1844. Telegraph (St John’s), 17 July 1874. Times and General Commercial Gazette (St John’s), 21 Oct. 1848. Gunn, Political history of Nfld. Leslie Harris, “The first nine years of representative government in Newfoundland,” unpublished ma thesis, Memorial University of Newfoundland, 1959. Elizabeth A. 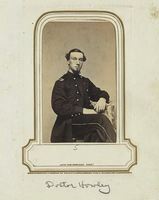 Wells, “NUGENT, JOHN VALENTINE,” in Dictionary of Canadian Biography, vol. 10, University of Toronto/Université Laval, 2003–, accessed April 24, 2019, http://www.biographi.ca/en/bio/nugent_john_valentine_10E.html.